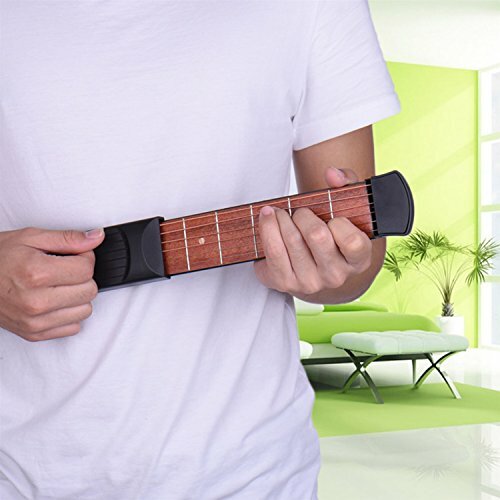 1.This pocket guitar is extremely portable ,allows you to practice Chords and Scales to improve your guitar skills in anywhere. 2.With 6 strings, you can adjust the tightness of the stings as you like; 6-fret rosewood fingerboard. 3.With chrome hardware and dot inlays for comfortable playing. 4.Especially designed for guitar enthusiasts for daily practice or entertainment. 5.Attention: This tool IS ONLY for finger practice for scales or chords. Not supposed to play any music.